Provide comfort for the family of John Tansey with a meaningful gesture of sympathy. John P. Tansey died Friday February 15, 2019 at Overlook Medical Center in Summit, NJ. He was 72. John was born on November 28, 1946, a son to the late Margaret (Quigley) and Thomas Tansey in Newark, NJ where he lived until moving to Gillette, NJ in 1973. He has lived in Warren, NJ since 1992, and Sarasota, FL since 2011. He was a graduate from Newark Technical School and worked as a Steam Fitter for Local 475 for 50 years retiring in 2008. John was a proud US Marine serving during the Vietnam War. John loved to play golf, especially at the VA in Bernardsville, and Sarasota. He had a passion and talent for wood working especially building custom cabinets and chests for his home and the homes of his children. Most important he was devoted to his family especially his grandchildren. He was pre deceased by his sister Rosemary, and his niece Sarah Emery. John is survived by his wife of 50 years Frances C. (Hearn) Tansey, 2 daughters Kimberly Fecteau and Emily D. Jenkinson, his grandchildren J.T. Fecteau, Cathleen Jenkinson and Thomas Jenkinson, his brother Thomas and his children Meghan, Michael and Katie, his sister Peggie Tansey and Kathy Emery and her son John. Visitation will be Tuesday, February 19, 2019 from 2-4 and 7-9 at the Valley Memorial Funeral Home 1012 Valley Rd., Gillette. A Mass of Christian Burial will be celebrated on Wednesday February 20, 2019 at St. Vincent de Paul RC Church in Stirling, NJ with Fr. Richard Carton officiating. Disposition is private. In Lieu of flowers please make memorial contributions to Halifax Health Florida -Hospice Ormond Beach Care Center at Helifaxhealth.org. For more information and online condolences visit valleymemorialfuneralhome.net. 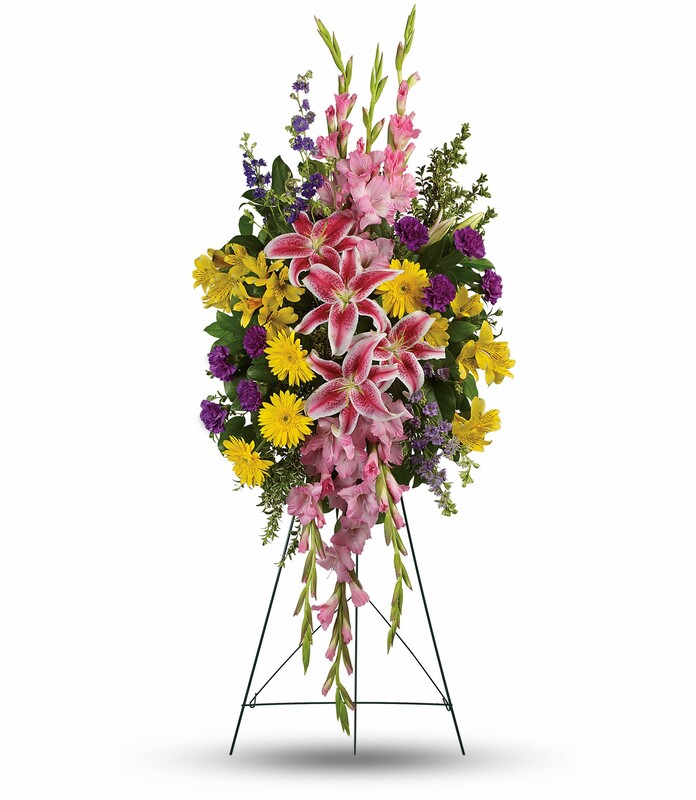 To send flowers in memory of John P Tansey, please visit our Heartfelt Sympathies Store. Kathy Pat and John and Barbara and Michael Lorenzo have sent flowers to the family of John P Tansey. I was so sorry to hear of John's death. I will always remember his kindness and will think of John everytime I make his mothers Irish Soda Bread. My sincere condolences to his family. I’m so sorry to hear of John’s passing. I have fond memories of him at barbecues at the home of my in-laws. He was just an all-around nice person and our family truly enjoyed his company. My thoughts and prayers are with you and your family, Fran. John was a kind, sweet soul that I was lucky enough to get to know over the last few years. It doesn't matter if you knew him for 30 years or 5 minutes, he still put the same stamp on your heart. He will forever be remembered to me as someone who cared beyond measure, gave without question and loved his family beyond words. We are all so lucky to have known him. Kathy Pat and John purchased flowers for the family of John Tansey.